George and Nina Banks live in a traditional white house in Father of the Bride that’s a classic American home, white picket fence and all. 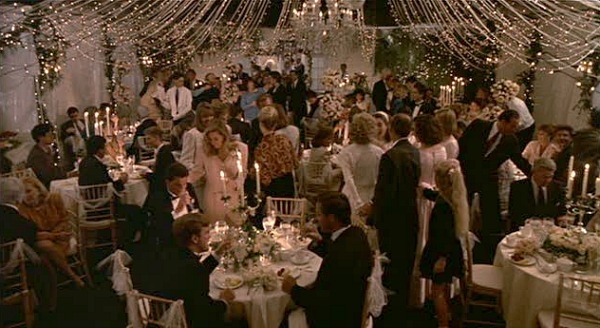 I got a lot of requests from readers who wanted to see more of it after I posted about the real house in Pasadena, California, so the Father of the Bride house has a lot of fans out there! Annie (Kimberly Williams-Paisley) at the top of the stairs. She has just returned from Rome with some big news — she’s engaged! Phoebe Cates was originally cast in the role of Annie, but she dropped out because of a pregnancy. 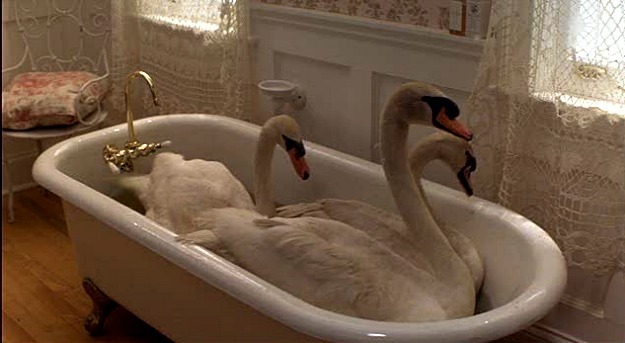 They wake up to snow on the wedding day, and the swans have to be kept warm in the tub. 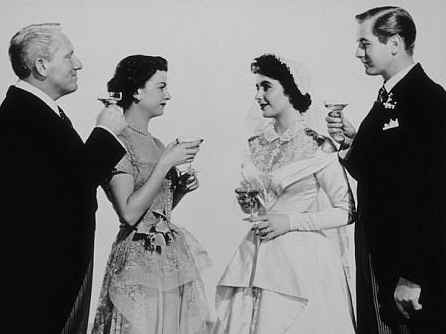 This was a remake of a popular 1950 film starring Spencer Tracy as the dad (Stanley Banks), and Elizabeth Taylor as the daughter (Kay). 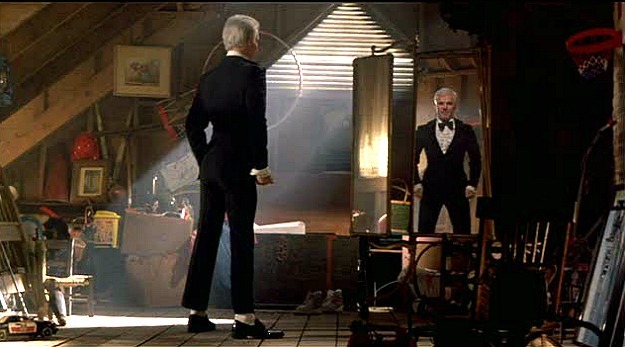 Steve Martin’s character is named George Stanley Banks in a nod to the original. Is this one of your favorites, too? 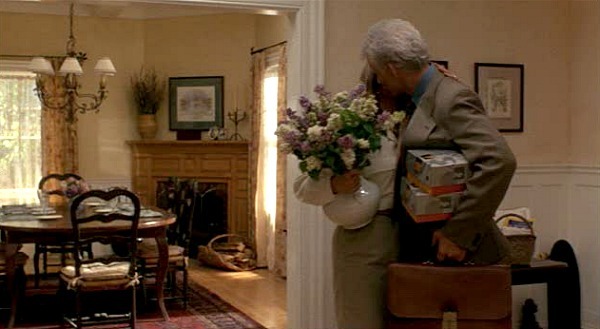 You can see many more photos of this house–including shots of the beautiful nursery wing that they build in the sequel, here: Father of the Bride Part II. 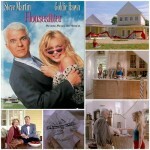 Steve Martin's Yellow House in "Housesitter"
The House (and Nursery!) 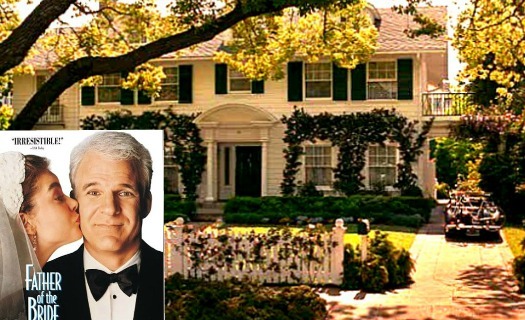 in "Father of the Bride Part II"
An interesting fact: The Mackenzie’s house use to belong to Sonny & Cher! Seeing this colonial house just brought smiles to my face….the reminder of two very funny movies. Thanks for the happy moment! Renae Moore’s last blog post..Great Adventure! Part II, Wine Country and Beyond! I have always loved this home. I think that it captures the American dream. I have loved this house since the first time I saw the movie…a LONG time ago! It is one of my dream homes. So perfect, yet lived in. Thanks for featuring it. Funny and good hearted movie. Both houses are stunning. I think I prefer the Banks house. I feel as if I have been aways so long. 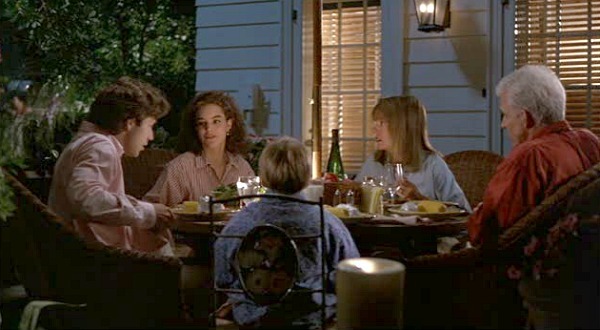 I loved that movie and always dreamed of having a home just like that. I think I got pretty close but the amount of purchasing I would have to do might just throw The Accountant over the edge. Keep on plugging along. Hope you are doing well and hope to be back in the groove again. One of my favorites EVER. But the best part is the nursery in the second (third?) one!! Wow. I love this house! Sarah @ Thriftydecorchick’s last blog post..The cutest little bench you ever did see. Thanks Julia! This is one of my all-time favorite movies. 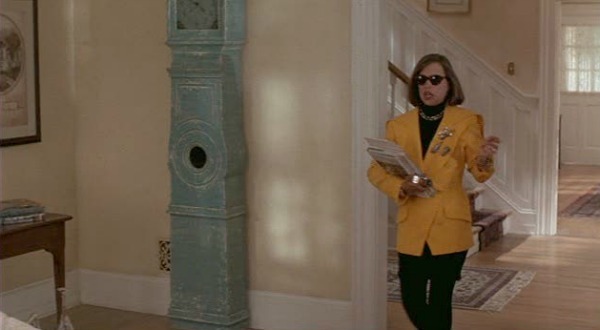 Anything with Diane Keaton, Steve Martin, or Kimberly- I watch it! I always wanted to live in this house and everytime I see a brick walkway I want to get down on my knees and say “See these bricks? I laid every one of them by hand!” Just like Steve Martin did in the 2nd movie. LOL! I see a trend here. It’s official, we love the same shows. Houses have always been a passion of mine right along side of these (most of them romantic comedys)great movies. I revisited your spot of all your previous movies and so love all the work you have put into them. I’ve always loved that house and that movie. Can’t wait to see the nursery! Thanks Julie I love all your knowledge about all these homes its so interesting thanks so much, do you thing its in Diane keaton’s contracts she has to have a good movie home as she always seems to get them 🙂 I didn’t realise Father of the Bride was a re make how interesting thanks again. Oh, this has to be my favorite movie house ever. I love everything about it. I just sped through the McKenzie’s house – compared to the Banks’ home it doesn’t even hold a candle. Thanks for the tour & I love the comment about the kitchen tile – I never even noticed the change. Classic layout. I like it. But then, I tend to “neat and orderly.” -grin- And of course, each person can individualize decor, as suits themselves. Again, thanks for doing this! Very traditional. I love the greenish swedish style clock!! Oh and I heard that it actually did snow that year in LA. My mom said it was the only other time she remembered it doing that since she was a little kid in the 50s. Great house photos! I’ve never seen the movie. I’ll have to rent it! OH. MY. GOSH. How did you know this is my favourite movie, with my favourite movie house, of ALL TIME?!? I’ve seen it more times than I can count, and that house is simply the star! 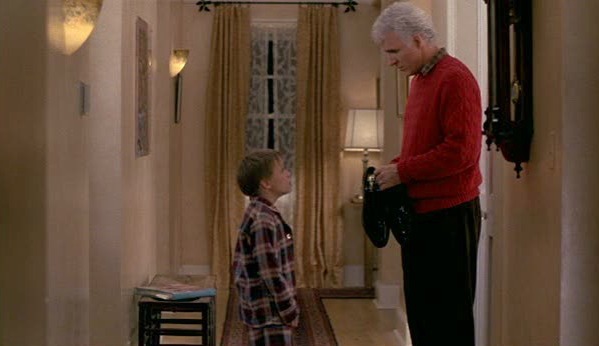 And how much do we love the sequel, when Frank helps them decorate the nursery?!?! This house never gets old to me, and a center-hall colonial is my perfect dream home. 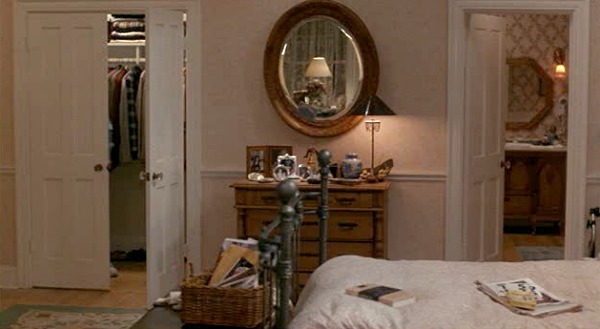 The movie is 17 years old and the style is still fabulous, I could move in tomorrow with all the same furnishings. 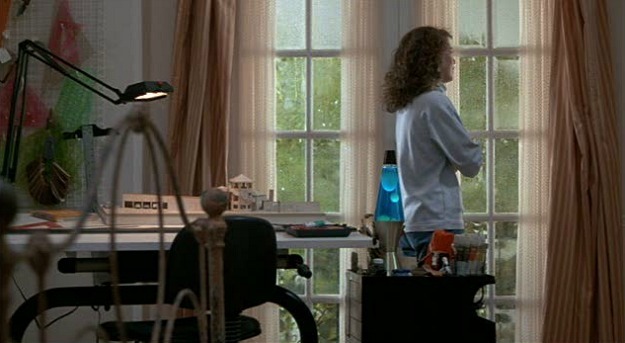 And Phebe Cates is lovely but Kimberly Williams was perfect as Annie. Susan’s last blog post..Welcome to the 22nd Metamorphosis Monday! I love this movie! 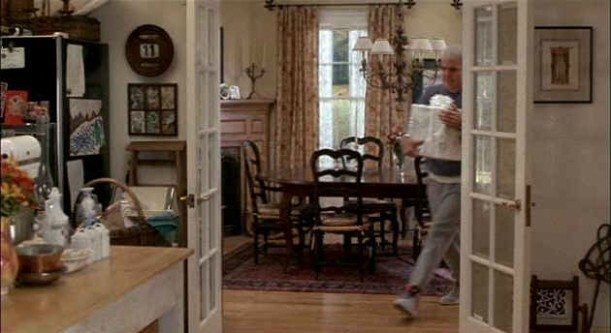 I like the scene where George and Nina meet the Mackenzies at their grand house, and George has to go to the restroom. They tell him to go upstairs, and it’s the seventh door on the left. He says, “Second?”. They respond, “Seventh. Seventh.” So funny! Kasey’s last blog post..We’ve Got a Toddler! I like all your other commentors, love this movie. 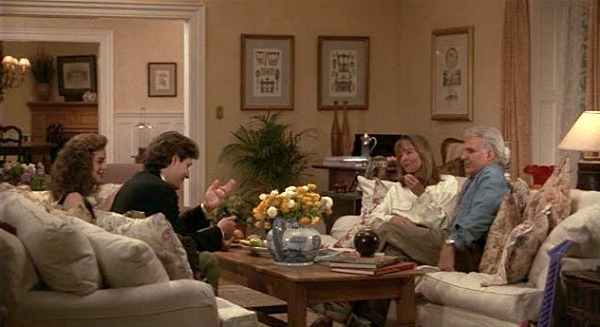 And as for the house, everytime I watch the movie I try to work out the layout of the upstairs! I have the downstairs sussed but just can’t quite make it flow upstairs. 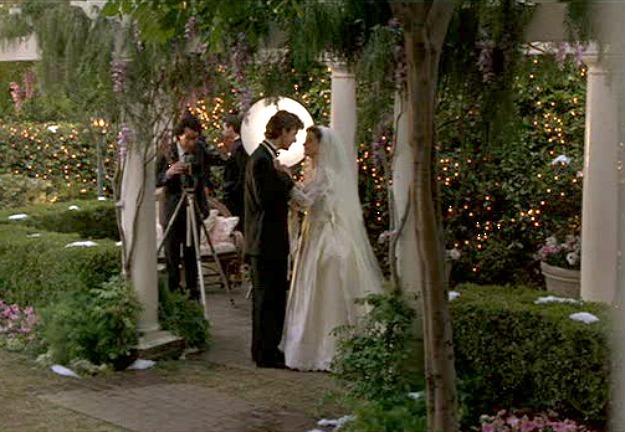 LOVED this movie… the year I got married my videographer used all the music from it… and it was PERFECT!!! Fifi Flowers’s last blog post..Next stop in Italy… Firenze!!! 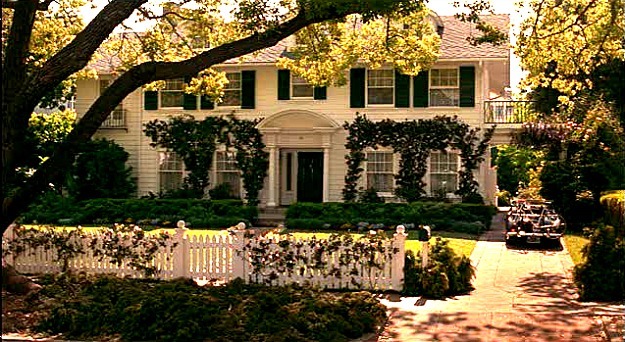 One of my favorite movies and one of my favorite houses!!! How did you know? Thank you for sharing about it… hmm – time to pop some popcorn! Daisy Cottage’s last blog post..Grab Your Purse! I have a new contest on my blog. 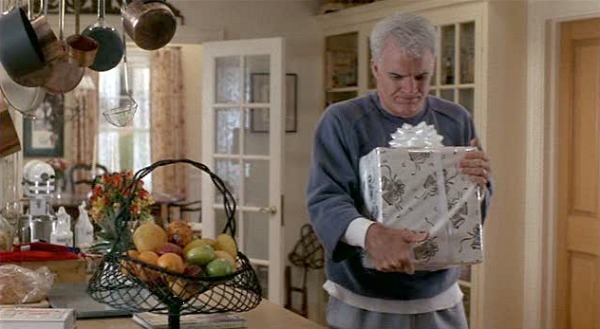 The prize is a subscription to House Beautiful. Maybe you want to come look? Have a great day and a sunny week! Julia–I really enjoy your blog. This house was a turning point in my own home as I had painted it all very neutral as a solution to the rainbow of individual room palettes that I moved into. I “de-decorated” for the first six months, but was underwhelmed with the neutrals. After seeing this movie I painted some main rooms a buttercream yellow, and when I saw it for the first time I kissed the painter! It was such a dramatic change. There is also something about ivy on a house–ours was covered in it, and it was really beautiful. I look forward to next weeks post. The house becomes a central character in the story. Great movie! I love the Spencer Tracy version also. I have always loved this house! Loved the movie too; it came out while we were planning our own wedding at age 21 and with a $1000 total budget. It infuriated me and made me jealous, the amount of money they spent on that wedding! I’d forgotten about this wonderful house! Thanks for the memory! 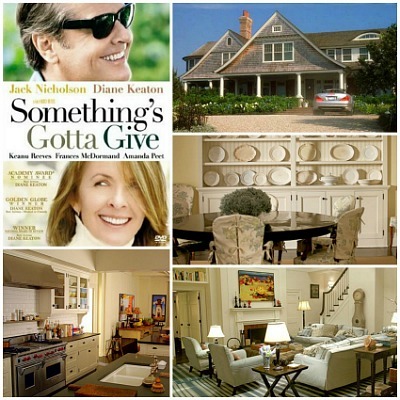 My favorite film pad is Diane Keaton’s Hamptons house in Something’s Gotta Give. This has been my favorite house since the first time I saw the movie. I love the car the dad drives, too! Ashley’s last blog post..Hooked On…Garage Sales! I loved this film, especially I was engaged, and planning my wedding for 1992 – and no….there were no swans at my wedding! Actually, the house is in San Marino, California, which is near Pasadena. First off ….I LOVE LOVE LOVE your blog. 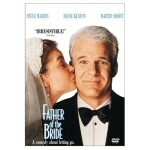 I actually googled images of “Father of the Bride” as I needed an image for my profile. We’ll I used it and then realized that it was from an actual blog. I am so sorry!! I thought it was a random picture from the movie I would love ask your permission – if I could use the image? I would love to also do a post about your blog on my public and private blogs. I would love to give credit to you on the picture. No worries – if not I will take your picture down. I was wondering if you would be able to find the pictures of the house from the movie fireproof. I love the inside! The banks – it doesnt get any waspier. This house is massive! 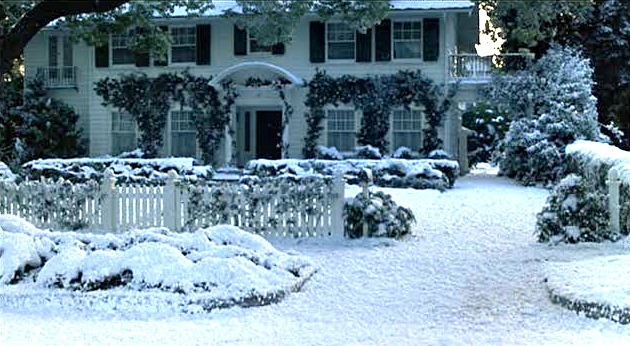 I’ve always loved this house and the movie. 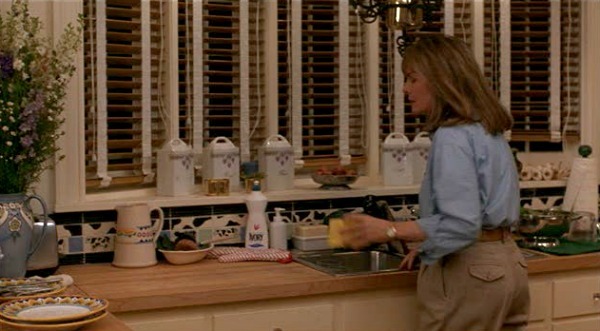 When George says “I love this house and I never want to move”… yeah dirrr… me too! Shame two story houses aren’t exactly common here in West Australia… more the long flat boring variety. I love the stairs, the entrance, the picket fence, the back yard … ahhh. The way he describes the memories of living there made me feel homesick for that house. 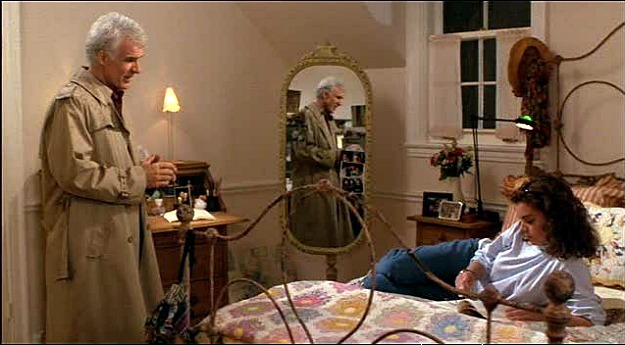 I wonder if the people who live there now watch that movie all the time and have the decor set out just the same? What a conversation starter when guests arrive! I was wondering of you could post some pictures of the house in the movie “Fireproof”. The inside was so homey and cozey! Hi! I really enjoy your blog and the wonderful homes you show. 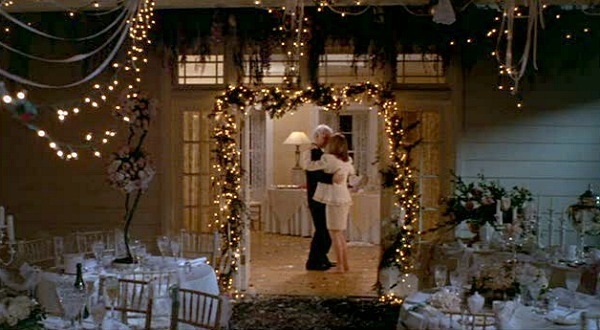 The Father of the bride home is absolutely awsome and I just wish that I had a house like that. 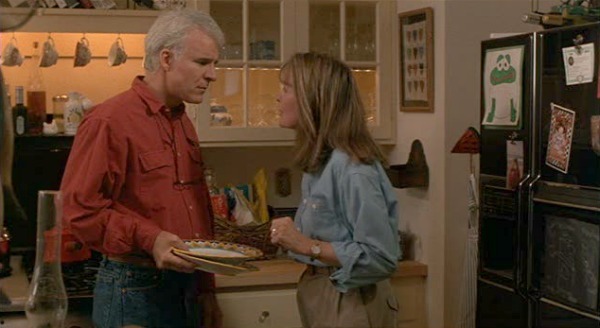 Another really nice house (with a Steve Martin connection) is Steve’s home featured in the movie “Bringing down the house”. Do you have any information on that one? would be great to see here. I LOVE LOVE LOVE Father of the Bride 1 & 2! GORGEOUS house, i LOVE it. Shame there are no floor plans available? Would be very interesting. I am addicted to your site!! I LOVE it. 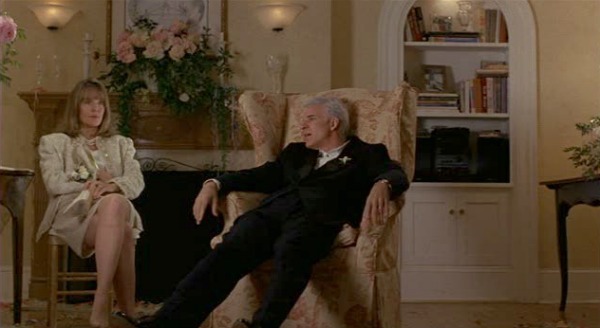 Father of the Bride is 1 of my all time Faves! Plus i must be brothers and sisters BIGGEST fan ever, i am so grateful for an insight to that gorrrrrrrrrgeous house!!!! i would like to know what car the dad had. This house IS in Pasadena on El Molino. 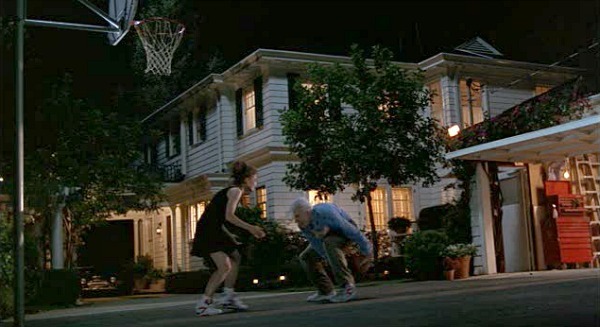 The basketball scenes were shot at a house in Alhambra. I throught that it was beauitful I want it for my wedding….. Where Bridal Salon did Annie Go to? I love love love this house! I truly believe that my house obsession began with this movie. The house, of course, was beautiful, but more than that it felt like a home. It was sophisticated and fancy, yet cozy and laid back. Great post! I am watching Rumor has it and I think they used the same house. I’m glad I found someone that loves homes more than me! This movie house has always been..(not a dream – because I dream big like MacKenzie Mansion big) but so special. It’s very lovely. .-= H F Designs´s last blog ..Food Storage Space =-. Omg…we just booked a wedding venue for my daughter.She was sharing with me how she wanted outdoor tenting in Oct. and wanted a homey feeling etc….and it hit me like a ton of bricks when we went to see this gorgeous colonial.omg!! !it felt like the House in father of the bride!!!!! !and yes wea are having SWANS! !just had to share.When she said white tents I had a flash back of that amazingly sweet movie,I’m soooooo.glad we saw this movie at least a dozen times,it stayed with her.Can’t wait for her special day!! I was wondering if you could please please post a picture of Annie or Nina walking down the stairs on the day of the wedding, basically I really need a picture of the way the stairs were decorated with flowers for the wedding. Thanks so much!